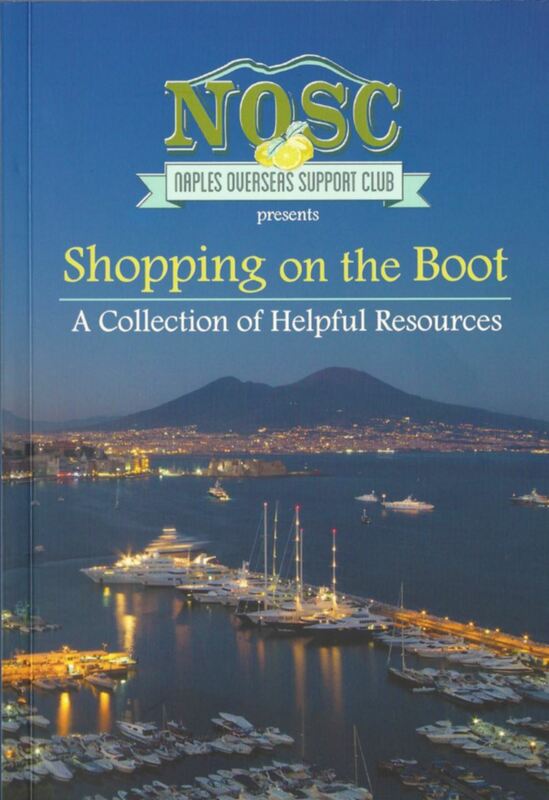 Shopping on the Boot is a resource guide published by NOSC for newcomers to the area. It is full of information on shopping, dining and traveling in the Naples and surrounding areas. Many of NOSC's Trips & Tours events stem from this book. Join us on one today or pick up a copy for yourself or a friend and discover your own adventure with NOSC's Shopping on the Boot in hand! Send an email to noscboot.com to purchase your copy today! Help us keep Shopping on the Boot one of the best resources for our community. If you find a new place to shop, stay, or visit, or have any ideas to contribute, please let us know by emailing noscboot@gmail.com. Please address your email as "Additions or Corrections to Shopping on the Boot".